Need B2B Sales Leads? Lead Generation is by far the most important task for a B2B company. But it’s one of the biggest challenges, let Lead Scrape do all the hard work for you. The software can help you create build databases for websites and directories, produce huge mailing campaigns. Find targeted data in any niche, extract business name, full address, phone number, website, emails social properties and contact names and job title of people working at the business. Lead scrape is very easy to use, simple add the business type you want to search, the city, (example: Dentist and city= New York City) then click on the "Find Leads" button, thats all. The software will scrape as fast as it can thousands of businesses and save all data in a cvs file when it has finished. Capturing Quality Business Leads Has Never Been This Easy! Lead Scrape will help you create new leads that will eventually become paying customers. 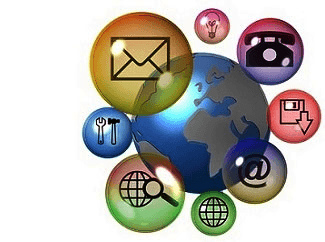 Thousands of different businesses supported, different sources, businesses addresses, websites, emails and contact people at your fingertip, attract and convert qualified business leads. I use Lead Scrape for my ad agency and it works great. I switched from another scraper program because it's a lot faster and has an easier interface. The program is also nicely designed where it does not drain your computer's performance as can be the case with some other scrapers out there. Definitely recommend it to anyone looking for a 1 time payment for a quality scraping tool to find business leads. I came across this company about a year ago. I'm always looking for an economical source for finding leads for my flag, banner and sign business. I was intrigued with the Lead Scrape details on the web site, I paid for the program and have never looked back. I have been a totally satisfied user of this great program from the very first time using it. I have had some questions regarding this program and have always received answers within a day, and sometimes an hour or so. I wound strongly recommend this program to anyone looking for an efficient, cost-effective lead development tool. After using Lead Scrape for a week, there's only one thing I could think, and that is "where have you been all my life?" This tool saves hours of manual research doing tedious searches to find publicly available information. Who has time for that when you have to close sales and make more deals? The program runs smoothly on a large Windows Server on EC2 and makes perfect use of public and private proxies to find data without limitations. The software is easy to use and only requires that you fill out a few standard fields to begin. Once the batch runs, you'll have a new CSV file that's overflowing with fresh leads! For anyone who actively sells B2B solutions and who is looking for a steady source of new leads, Lead Scrape is an affordable solution that delivers on its promises! This tool will be a part of my marketing arsenal for years to come.